Perhaps the most daunting problem we, meaning the entire planet, face is climate change. How do we sustain our growing need for energy while reducing pollution including carbon dioxide emissions? Non-polluting energy is a REAL national and global emergency. Increasing clean energy such as solar and wind is only part of the equation. Efficient storage of energy is paramount. Yes, we can watch TV when it is cloudy. This issue covers some very intriguing sectors of the energy tech scene — new promising sources of energy, from small to large: nano-materials, plastic waste, and fusion. 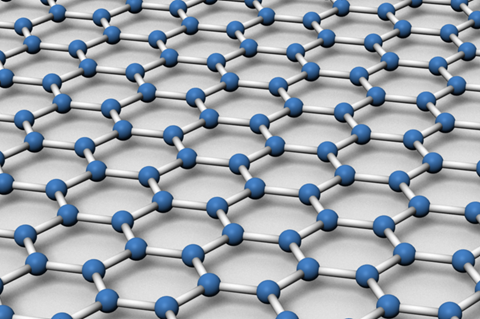 Graphene is a nano-material comprised of a single layer of carbon atoms. You can find it in water filtration, clothing tech, and electronics. Graphene has amazing properties. It is the strongest material ever tested, conducts heat and electricity efficiently, and is nearly transparent. Paul Thibado of the University of Arkansas is the first scientist to harness graphene’s potential to produce energy through his patented Vibration Energy Harvester. Sheets of graphene ripple when they absorb heat. Simply put, Thibado’s amazing breakthrough captures the vibration movement and turns it into electricity. [T]he Vibration Energy Harvester could be the perfect energy source for lifesaving technology and medical implants like pacemakers and insulin pumps, as well as power a growing number of physical objects that send and receive data over the internet, called the Internet of Things. Good News: We can look forward to a perpetual energy source — at least in low power applications. Wouldn’t it be great not to have to charge the battery in your phone or watch? Eight million tons of plastics makes its way into the oceans each year. What do you do with that? You can try to clean the ocean, but imagine the expense! You could use drones to try to find the source of the pollution, and that is in the works too — see The Plastic Tide. Better yet, what if you could turn plastic into fuel and other useful chemicals economically? That might make plastic too valuable to toss out. Polypropylene (PP) waste accounts for about 23% of the total plastic waste. Converting PP waste into useful products can reduce the accumulated waste and associated risks to the environment and human health. 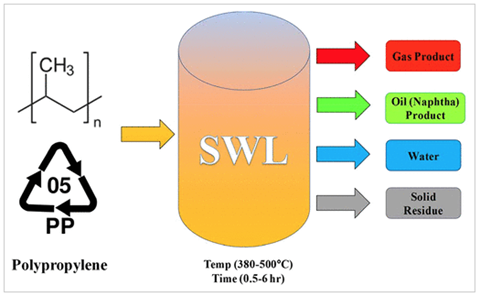 Researchers from Purdue University have pioneered a process using extremely high-temperature water and pressure to convert this plastic waste into oil. Good News: This new chemical conversion process can convert more than 90 percent of polyethylene waste into high-quality gasoline or diesel-like fuel. Keep recycling that plastic! Fusion energy is the “holy grail” of unlimited clean energy without greenhouse gases or pollution. One gram of hydrogen fuel for a fusion reactor provides as much power as 10 tons of coal! Do you remember the promise of “cold fusion” back in the ‘80s? Almost no one believes that is a real thing these days. It turns out you need “hot fusion,” hot as in the heat of the sun. You need a very very strong magnetic field to contain a nuclear fusion reaction, a challenging problem. Fortunately, Dennis Whyte’s lab at MIT discovered a new approach to fusion and created a company to capitalize on it. An Italian oil company and private investors — including a firm funded by Bill Gates and Jeff Bezos — put at least $75 million into the company, known as Commonwealth Fusion Systems [CFS]. Good News: This startup and others intend to demonstrate working fusion reactors by 2025. Our environment can’t wait. It’s a common view that wind and solar power will help save the planet. However, it surprises me that those efforts may harm the environment! Watch this Ted Talk on Why renewables can’t save the planet. It turns out we need more nuclear power, and hopefully, we can move from fission to fusion — the sooner, the better!